SeaWorld hasn’t been doing well recently, with most of its troubles originating from the 2013 documentary Blackfish and all the controversies emanating from it. 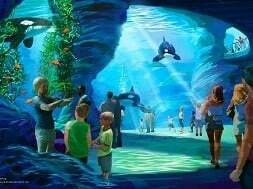 But the company is fighting back, attempting to transform all of its marquee parks around the country – and, now, around the world, with the recent news of the Abu Dhabi SeaWorld arriving in 2022 – into more thrill- and education-based experiences. 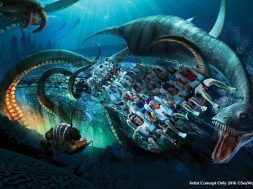 Leading this charge is none other than virtual reality, which SeaWorld hopes will accomplish a few different tasks simultaneously: provide new attractions (or upgrades to older ones) for dirt cheap; give the company a reputation for being cutting edge; and provide experiences that can’t be replicated by either Disney or Universal. 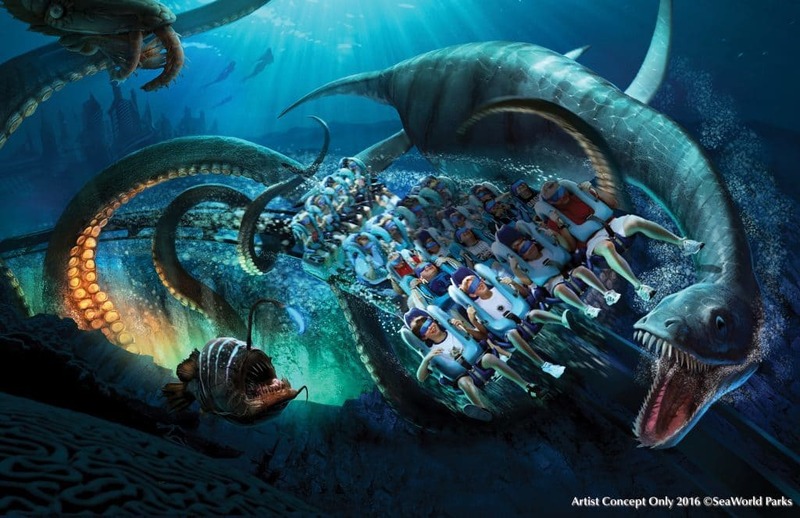 So far, the biggest form this new VR push is taking is the Kraken upgrade that will make riders on the popular roller coaster think they’re actually underwater, racing against the mythological creature that is the attraction’s namesake. But, according to various SeaWorld executives, this is just the tip of the iceberg (bad pun not intended). We will have other things opening in [the] Deep See category at other parks [beyond Orlando] and more going into 2018. We have clever things we are doing with our animals, and it’s with [the help of] digital reality, because we can mix real and digital content and get to the animals you can’t see inside our parks and break those barriers between our guests and the animals. That’s the ultimate goal. We are into 2020 with our tools and technology, so we already are thinking in the bleeding-edge to adapt to the new technology. We can already start to see what the company has up its sleeve over at SeaWorld San Diego: later this year, a new land called Ocean Explorers will open up, with one of its attractions including “an upcharge virtual-reality experience” which “will allow visitors to virtually swim with orcas and come nose-to-nose with killer whales,” according to the LA Times. The publication went on to note that, should the attraction do well, it would be exported to both Orlando and San Antonio. 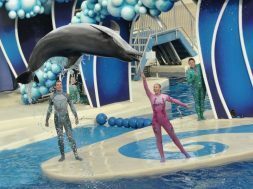 The concept of providing access to the animals that SeaWorld’s entire identity has been built on since it first opened its doors in California 53 years ago is a strong one, but relying on virtual reality to carry the encounters has some risks; it fits with all the pressure the parks have been feeling to retire their living, breathing captive animals, but it also stands to not connect with consumers who, up until this point, have been trained to expect “real” experiences. There’s also the potential that the VR wave sweeping the nation, from Cedar Point to, even, Universal (the Repository was a virtual-reality-enhanced premium haunt at last year’s Halloween Horror Nights), ends up being nothing more than a fad, one that could potentially fizzle out by the time this decade ends – if not sooner. Then again, there really is the potential to provide some rather unique content to guests. Heading out on digital expeditions to see a whole swath of wildlife in their natural habitats could provide a thrill (and claim some of Disney’s Animal Kingdom territory), and swimming underwater to interact with all the denizens of the deep, as well as explore various shipwrecks, would be highly educational. But why stop there? 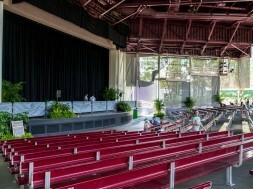 Universal recently offered its guests the opportunity to visit the mythical, larger-than-life realm of Skull Island, and since SeaWorld Orlando already is home to Kraken, embarking on other mythological adventures would be a no-brainer – as well as bring more traditional dark-ride fare to the park. And that’s not even taking into account all the myriad possibilities that Sesame Street, which the company holds the theming rights to, opens up, from dance parties to dark rides to junior-level safaris. The virtual sky is a very real limit, but it’s all exclusively dependent on how Orlando’s roller coaster and San Diego’s orca experience do with their first waves of guests this year. 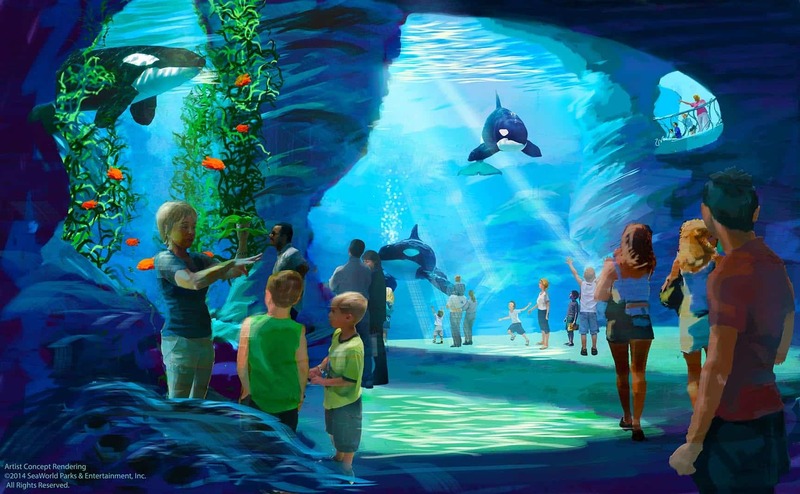 You better believe that SeaWorld’s execs will be watching how it unfolds with the utmost intensity – as will all of their theme park rivals. The shape of the future could be at stake, after all.